Back on market-no fault of Seller! Awesome valley & lake views from this 22 acre horse property minutes to HWY-5 La Center exit. Former architect's home. Vaulted LR w/floor/ceiling fireplace, Formal DR, Lg laundry. Usable mud room. Enjoy entertaining & sunset views from the huge patio. Vaulted Master BR w/5-piece bath & jetted tub. 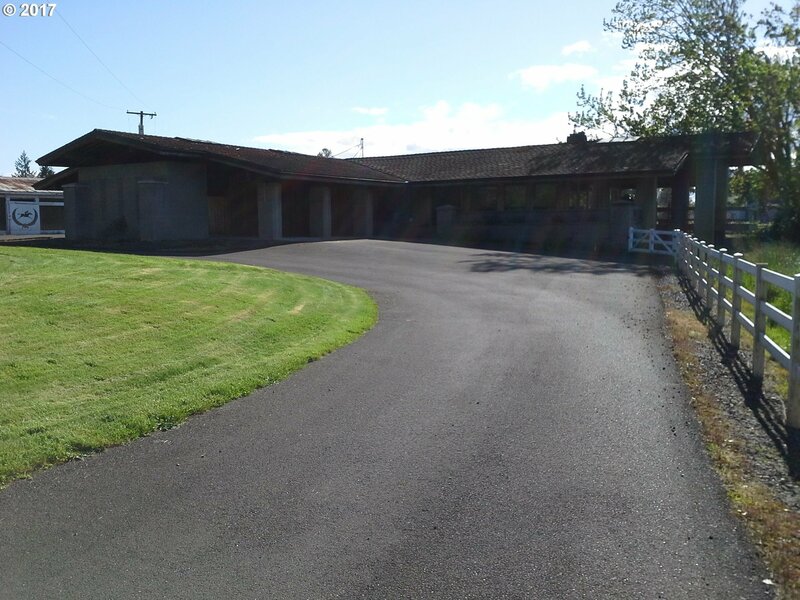 Big 7 stall barn + office, 3 shops, big shed, leanto for hay storage. Buyer to verify any plans w/ County!